The Future is now! Future went on his "Nobody Safe Tour" earlier this year before his "Future HNDRXX World Tour" with a U.S. leg in August. Get tickets to hear hits off of his two new albums HNDRXX and FUTURE. The hottest music act to come out of Atlanta in years is taking over a city near you! 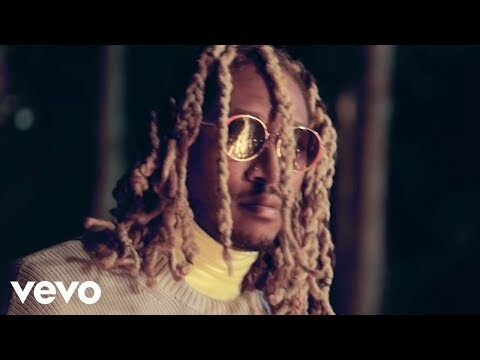 Future will be thumping cities across the US and you don’t want to miss out when he performs chart toppers like “Jumpman,” “Karate Chop,” and “March Madness” live in concert! The Atlanta native has brought a new sound to hip hop that has taken the industry by storm. Known for his mixtape with Drake titled What A Time to Be Alive, Future furthered his Atlanta hip-hop legacy with EVOL. EVOL was the rapper’s 2016 album. Hits such as “Low Life” featuring The Weeknd are on EVOL. Future announced a 2017 “Nobody Safe Tour” with Migos, Tory Lanez, and Kodak Black. He also announced a surprise album FUTURE that dropped February 17th. It included seventeen tracks with no features, an impressive feat for the Atlanta rapper. He then dropped a second album HNDRXX two weeks later. Future’s second tour of 2017 is the “Future HNDRXX World Tour” hitting the U.S. in August.